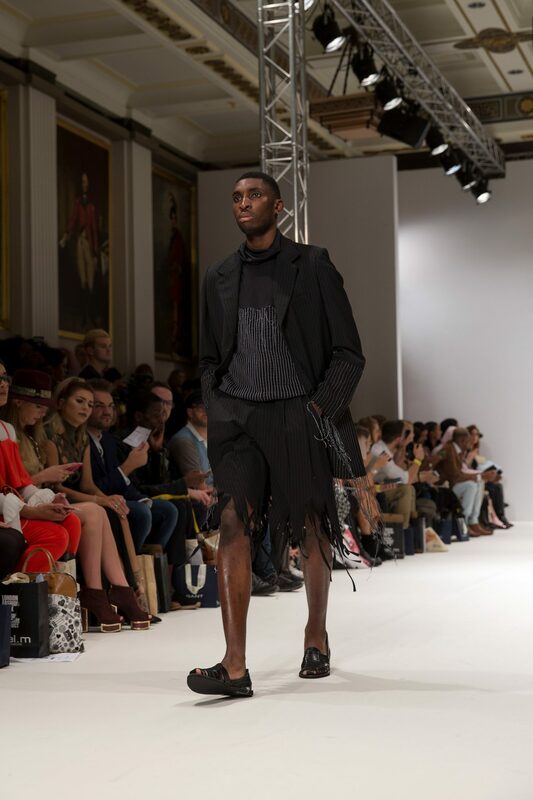 London Fashion Week is synonymous with nurturing and creating great talent and the Ones To Watch S/S17 show, held at Freemasons’ Hall, did not disappoint. 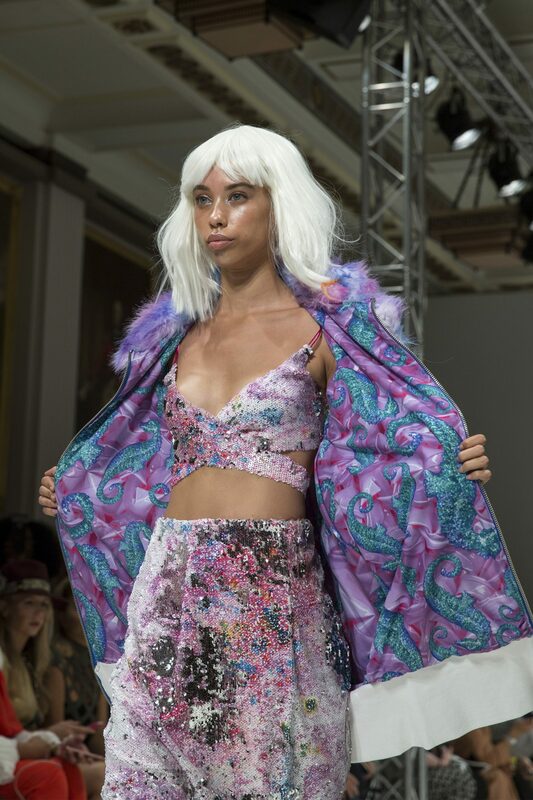 The British Fashion Council’s Kendall Robbins selected the four designers to showcase their work at the show; Ana Ljubinković, Anissa Aida, Ester Kubisz and Billie Jacobina. Each designer treated the audience to a great variety of design, but each designer shared the same quality: creative talent. 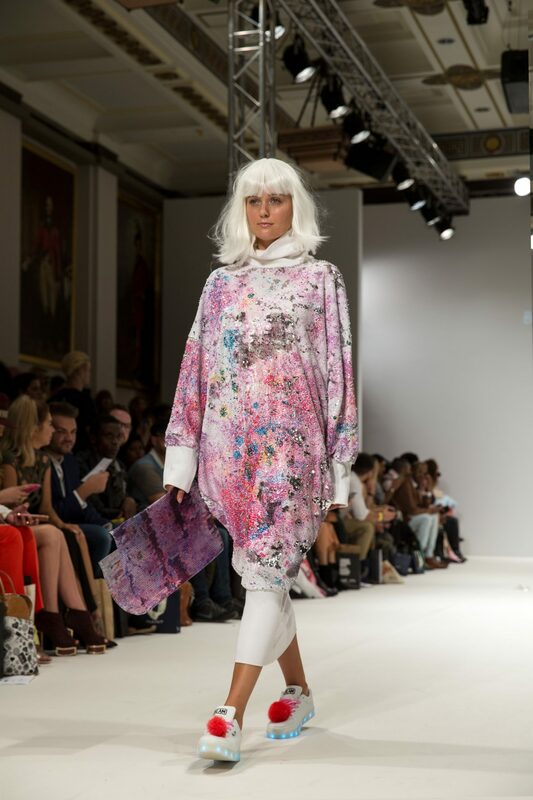 Ljubinković opened the show with her collection, presenting an array of pastel shades, pretty shapes and a great attention to detail. The designer’s collection was a youthful celebration of femininity, the model’s appeared fresh faced and energetic, while the garments complemented the female form. 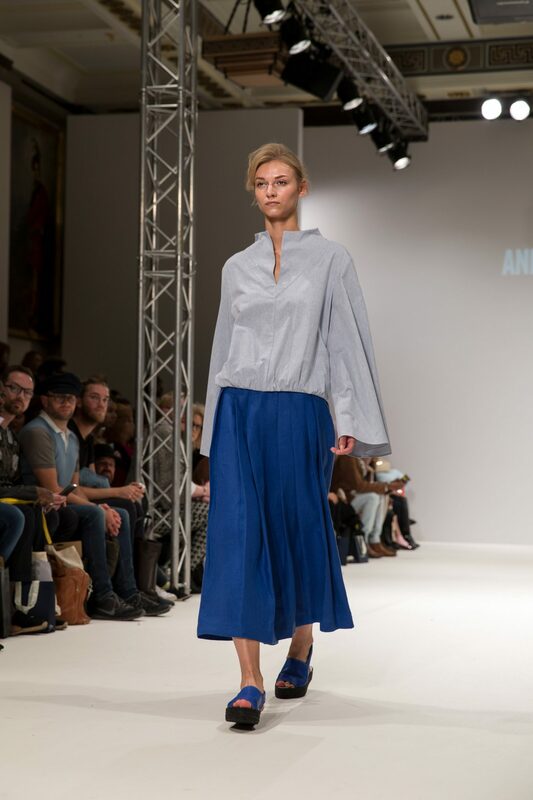 Contrary to Ljubinković, Anissa Aida’s collection entered the runway quietly, with models dressed in clean palettes of blues, greys and whites. The collection appeared functional above anything, with tall, wide brimmed straw hates placed neatly on the model’s heads and clean, crisp cuts. 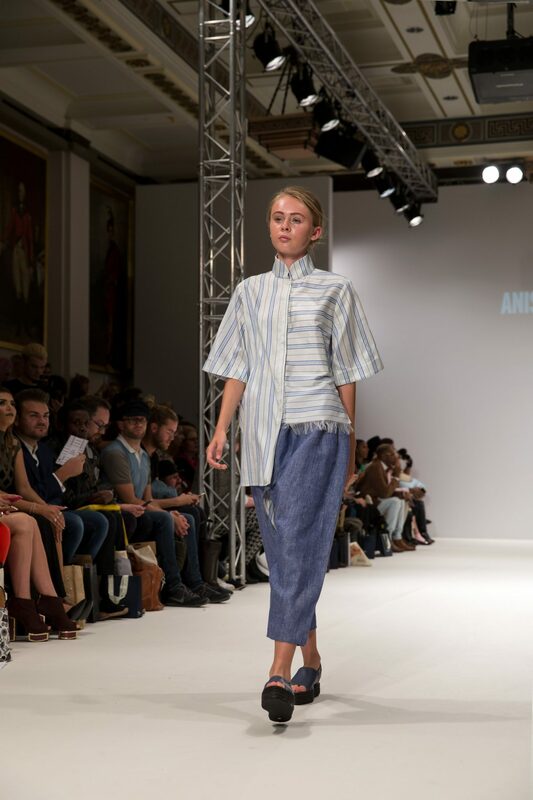 Aida’s collection was absolutely a nod to her Tunisian upbringing, while also bringing in influences of modernity. Ester Kubisz deconstructed the world of corporate clothing to demonstrate a dark, androgynous collection. Shirts were tightly buttoned to the top, while fringing on sleeves, skirts, trousers and shorts brought a sigh of relief to the clothing. The often stiff corporate world was given a new lease of life in this collection, with Kubisz changing the normality of office wear. The Ones To Watch show ended loudly, with Billie Jacobina’s unconventional collection. Models wore short, white wigs while the accessory of choice was the oversized septum ring. 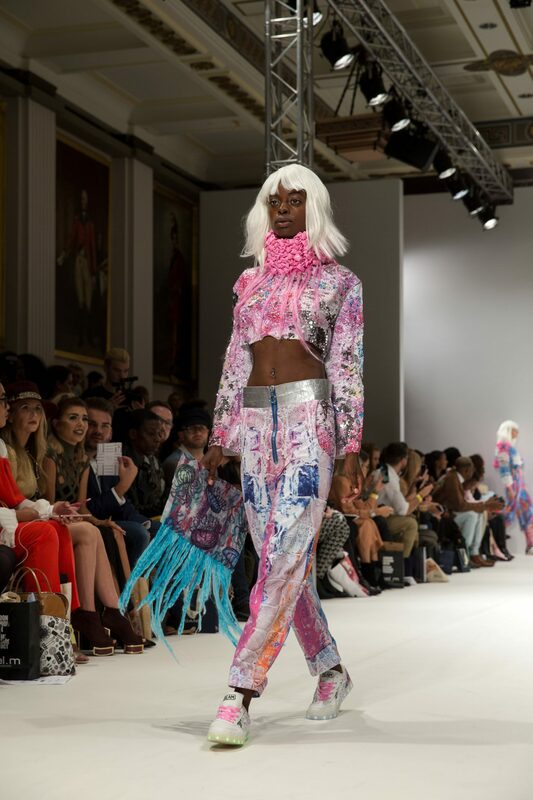 Jacobina’s collection clearly was a nod to hedonism, injecting fun and excitement with bright, bold colours and a multitude of texture. As the show went on, it was clear to see the dedication of each designer. All collections, as previously mentioned, were creatively different, but there are no questions regarding the hard work of the designers.